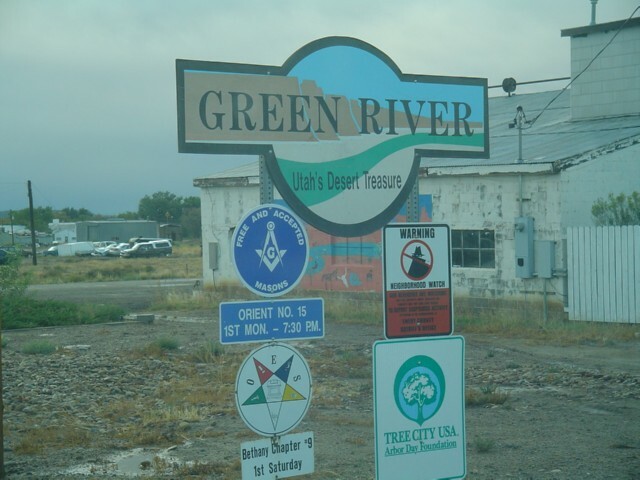 Popular for their awesome watermelons, Green River, Utah is a fun, small town to stop in. I almost always stop there when I’m in that part of the state. Green River is named for the Green River obviously, it cuts through the middle of town. 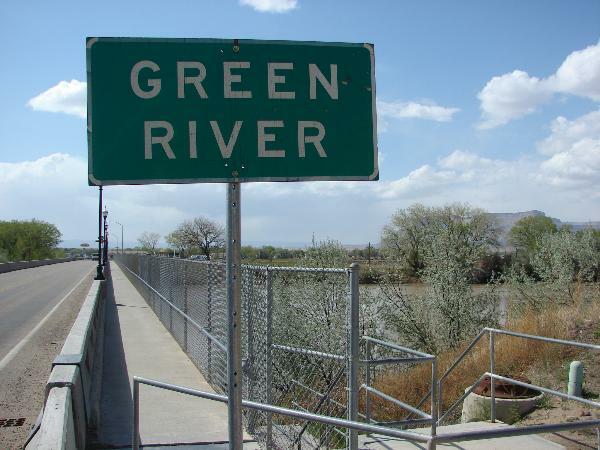 Green River is in Emery County. A cool thing to go see is Crystal Geyser, a cold water “geyser” (actually an erupting well) just south of town. The Golden Ratio and Green River Art project is an interesting stop as well. There is a cool rocket in the park on the main road through town, it has something to do with the Green River Launch Complex, where from 1964 to 1973 the U. S. Air Force launched 141 Athena Missiles from the Green River launching area, near the Crystal Geyser as part of research to improve nuclear missiles. I’ll post more info on it when I dig out my pictures. A sign on the main road tells of Major Powell, Colorado River Explorer.